If the post body font is different than the one in the demo, this means it was edited from the post editor. It would be best to not edit the font or main color of the post from the post editor, because it overrides the template's CSS and adds unnecessary HTML. 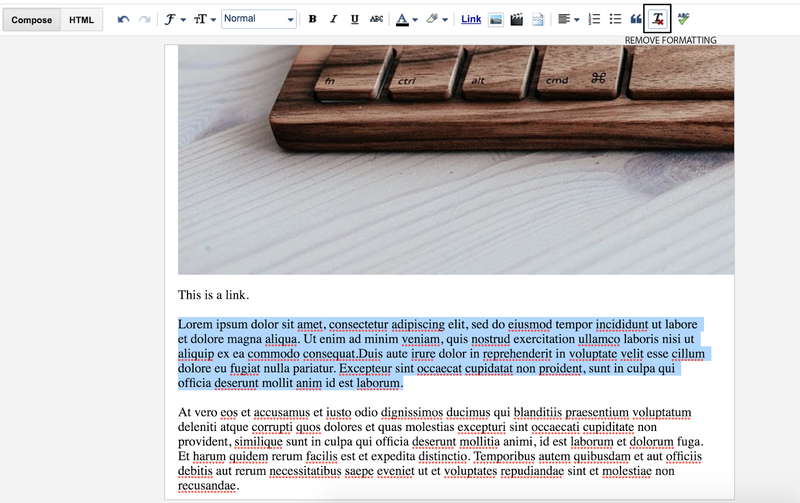 Make sure to write your posts directly in Blogger. Writing them is MS Word, for example, will add too much unnecessary HTML and, in some cases, will end up messing up the fonts and colors on the entire post page. To fix this, open the post in the editor, select all the text and click on the "Remove formatting" button (screenshot attached below).